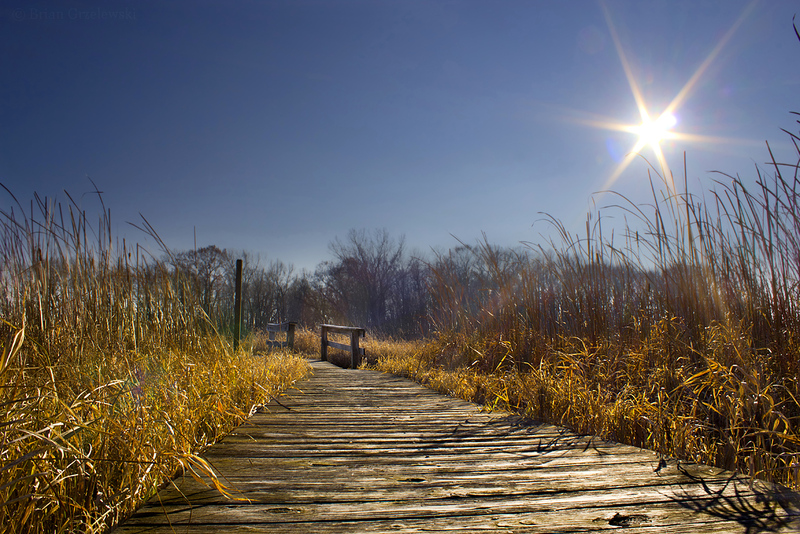 A cool but clear day in Illinois was a great day to explore the marsh. A slight breeze breathed through the tall grasses. The floating walkway creaked and shifted ever so slightly while walking on it.